Do you want to start your own Campsite? Are you thinking of starting your own campsite? Perhaps you already have a campsite, but it’s not delivering the returns you expected. Or maybe it’s taking up too much of your valuable time and you’d like to investigate how you can change this. If this sounds like you, read on… we might make a perfect partnership. So we have to be selective. We’re looking for peaceful locations, with minimal light pollution, located no more than 90 minutes drive from an urban population. 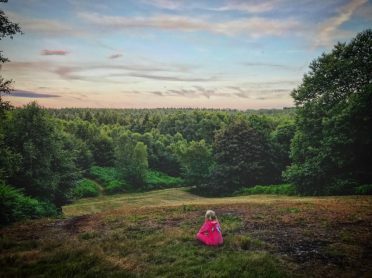 Quiet meadows, woods and woodland clearings that aren’t bordered by arable land or footpaths have the potential to make perfect Secret Campsites. What are The Secret Campsites? 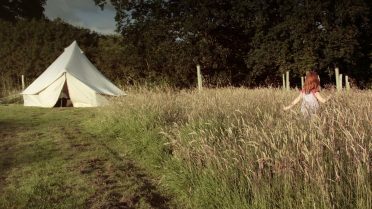 The Secret Campsites are an exciting collection of real camping and wild glamping sites tucked away at quiet locations in the UK. Our sites are focused on Nature, Peace and Space. Our pitches are spaced out, with plants and wildlife left to flourish in between. We don’t allow cars, dogs, music or rowdy groups but we positively encourage campfires and provide great facilities. Each site is managed by our wardens who live on site and ensure a warm, hospitable reception to all of our guests. We have been running campsites for over 8 years. 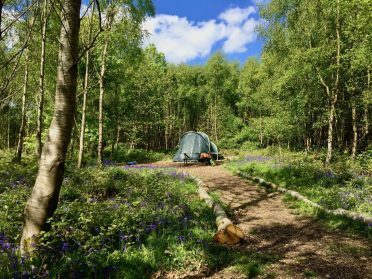 We’ve created a much loved camping business, based around Nature, Peace and Space and we have an incredibly loyal following of campers, keen to enjoy the peace and quiet of nature. But better still, its a growing market and this is where you can get involved and benefit from the burgeoning interest in camping and the natural world. Since 2012 we have raised in excess of £17,000 for the Wildlife Trusts and we have won a BBC Community Heroes award for our work with our native fauna. Our customers are couples and families keen to escape their busy technology filled lives for a short break of 1-3 nights at a peaceful location no more than 90 minutes drive from their home. They come back regularly to enjoy the peace we have created. They are friendly, undemanding people, who are fun to pass the time of day with. Read more about them in our Escapees Handbook. The demand for our sort of camping is growing fast, we are fully booked most of the time and we need to keep growing. Campers are demanding it. …and this is where you might fit in. We’re looking for entrepreneurial landowners who share our passion for the British countryside. Landowners need to have 8+ acres of suitable land, with the potential to secure planning consent for a campsite. Just send us the location of the land you have in mind and we can quickly let you know if it’s suitable for a Secret Campsite. 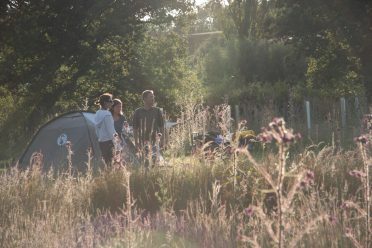 Secret Campsites are a great way for landowners to commercialise their natural capital and they can provide a significant return, even, from relatively unproductive land. They also provide an opportunity to enhance the wildlife and diversity of species on your land, in tandem with creating significant trade for other local businesses, such as shops and pubs. “Following some initial discussions at the farmers market, we opened the Wild Boar Wood site in 2011. It is now a great and very unintrusive use of a 5 acre patch of woodland. Ever since the campsite was up and running, our involvement has been minimal. We now enjoy regular updates from Hugh and the team and the space generates a great quarterly return from an otherwise, relatively, unproductive piece of land. We even manage to sell some of our award winning cheeses direct to campers staying at the site. “I was introduced to the world of camping by our forestry consultant. We were looking at new income streams for the Estate, that utilised the beautiful location whilst not impacting our conservation or forestry work. Since meeting Hugh and his team, we have seen our site evolve into a great asset with lots of positive feedback locally and from wider afield. If you have any questions or would just like to discuss the opportunity in more detail, just call or email us. We can quite quickly identify if this is something you might like to pursue. Alternatively, click here to enter your information and we’ll be back in touch promptly, with a top line assessment of the opportunity. We will then arrange a time to pop in and, over a cup of tea, discuss the potential your site has as well as the returns it might generate for you.